Religion asked in Census 2001 – Muslim Museum UK – Uncover the 1400 year relationship between Britain and Islam. Explore the history and heritage of Muslims in Britain. 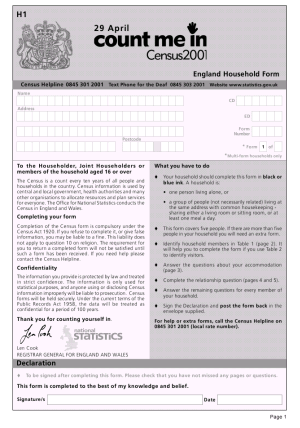 For the first time since 1851, the 2001 Census for England and Wales included a question on faith.